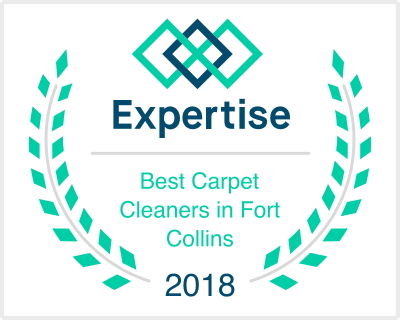 Your search for the best option for carpet steam cleaning Fort Collins can offer is now at an end. Here at Comfort Carpet Clean, we not only specialize in steam cleaning your carpets, but we can also assure you of a quality outcome no matter how difficult you may perceive things to be. There are a number of clear advantages for any individual that is seeking to have their carpets steam cleaned. However, in order to get the best outcome you do require the correct equipment, and that is where we really do come into our own. Our technicians are not only fully versed on how to remove dirt and the most stubborn of marks and stains from your carpet, but they also understand the best way to get the absolute most out of the equipment that we use. Of course, we only use top of the range steam cleaning equipment that is specifically designed to deal with these kinds of issues, which is why we can guarantee that your carpets will be left looking as if they are brand new. As your main Fort Collins carpet steam cleaning company, we take absolute pride in the level of service that we offer. This applies no matter the size of the job in question so if you are looking at a single room or your entire home, then we are available. Furthermore, there is no need to worry if you feel as if your carpets are past their best as our ability will indeed bring them back to life and to a standard that you never thought would have been possible. In order to put your mind at rest about things, you should know that we are fully insured so just in case something does go wrong, then you are covered. However, thanks to our experience in the industry this will not be an issue as we are undoubtedly the best at what we do in the area. But why steam cleaning? For many, this is a healthier option as they simply do not want the same level of chemicals to be put into their carpet for a variety of reasons. Steam cleaning has also been shown to kill those dust mites and other critters that could be lurking in the carpet, so there is no need for you to be concerned about that aspect. The steam cleaning does also remove the same level of dirt and grime, and there are point where it can remove stains that could have been rather troublesome for other potential solutions. So, if you are saying to yourself that you want someone to steam clean my carpets, then give us a call here at Comfort Carpet Clean. The other option is to book an appointment via our website and we will then be in touch to help you to bring your carpets back to the high standards that you expect..